What Makes a Raw Food Diet? A raw food vegan diet consists of unprocessed raw vegan foods that have not been heated above 115 F (46 C). Adherents of this diet, called "raw foodists", believe that foods cooked above this temperature have lost their enzymes and thus a significant amount of their nutritional value and are harmful to the body, whereas uncooked foods provide living enzymes and proper nutrition. Proponents of a raw food diet claim that there are many benefits to eating raw foods, including weight loss, more energy, clear skin, improved digestion, and improved overall health. Many people clarify that they eat a "high raw" or a certain percentage of raw foods in their diet, such as "75% raw diet" or a "90% raw diet". A few people include unprocessed dairy products in their diet, but most follow a raw vegan diet. The raw diet has seen an increase in popularity in recent years with raw food restaurants open in most major cities, yet many people still dont fully understand what a raw food diet is. The raw foods diet includes these foods in their unprocessed and uncooked state and omits most other foods. Raw foodists also drink fresh fruit and vegetable juices and include herbal teas in their diet as well. Most people who follow a raw vegan diet include a limited amount of foods that have undergone some processing, as long as the processing involves does not involve heating the food over 115 degrees. There is some debate as to whether certain items are in fact truly raw and thus suitable for a raw foods diet, and many people prefer to exclude some processed foods from their diet, even though they may be raw. 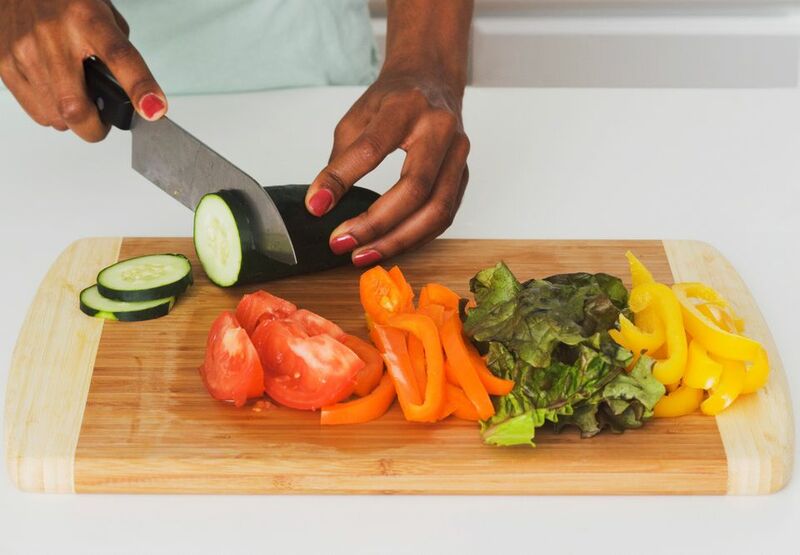 If you are preparing food for others, its best to err on the side of caution, and prepare a dish that you know is 100% raw, such as a salad or fruit dish. How Do Raw Foodists Prepare Their Meals? Raw food preparation is often light-heartedly referred to as "uncooking". While many raw food recipes require lots of processing and preparation, many meals require little or none, such as a salad or fresh fruit. If you are exploring the raw food lifestyle, you'll probably want to have a blender and a food processor at the minimum and may want to invest in a food dehydrator as well. Many recipes use a dehydrator to make raw vegan flax crackers, breads, and cookies. You may also want to purchase a juicer for making fresh fruit and vegetable juices. Raw foods are everywhere! Fruits and vegetables are readily available, but you may like to shop around for variety. Try farmers markets for heirloom produce, and browse ethnic markets for exotic fruits and vegetables. Most health food stores now have a small raw food section where you can find raw breads, cookies, and other snacks and treats. What Is Raw Cacao, Anyway? Should You Soak Nuts and Seeds Before Eating Them?